Stella Vargas is a paralegal with over two decades years of experience, most of which was with the renowned firm of Perry & Haas LLP. 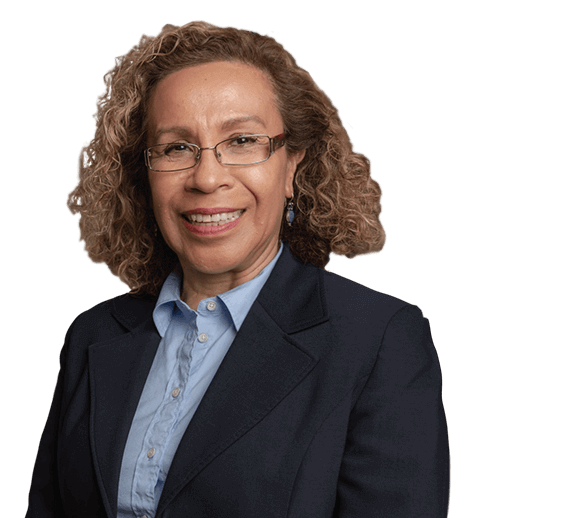 As a member of the legal team at Sahadi Legal Group, Stella works closely with clients to understand their struggles and needs and works diligently on their behalf to get the best outcomes in their cases. Stella graduated from Texas A&M University with a Bachelor of Science in Engineering. She worked in Exxon’s South Texas Drilling Division for many years before obtaining her securities license and joining Merrill Lynch as a broker. Stella eventually decided to change careers and obtained a degree in paralegal studies. By working as a paralegal, Stella discovered her passion for helping others. Many of her clients are facing an incredibly difficult time in their lives, and Stella enjoys helping them through it. Clients have come to rely on Stella for her compassion, patience, and outstanding work ethic. As a detail oriented person, Stella works to ensure the attorneys have everything they need for a case. Stella’s role is crucial to furthering each case and getting the best outcome for every client.